TRENTON, NJ – Governor Chris Christie today established the position of Chief Technology Officer by appointing David Weinstein as the State’s first ever CTO. 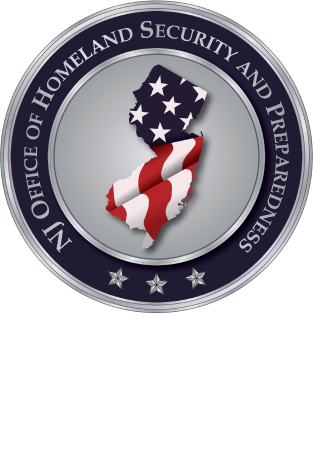 Weinstein will oversee the New Jersey Office of Information Technology (OIT) and be responsible for developing and implementing strategic policies, information security standards and requirements for all State departments and agencies. He will report directly to the Governor and will serve as a cabinet member. “New Jersey's public employees rely on information technology (IT) systems to serve our citizens with vital functions of government. These duties demand – and the taxpayer’s deserve – a user experience that enables greater productivity and long-term efficiencies while protecting private information to the greatest extent possible,” said Governor Christie. "Dave is an individual, who truly understands how to manage cyber risk across a large enterprise, and as the head of the Office of Information Technology, he will work closely with the Director of Homeland Security and Preparedness (OHSP) to ensure that our efforts to streamline, modernize, and innovate our technology infrastructure is consistent with my cybersecurity and privacy priorities." Under Weinstein's leadership, OIT will refine its portfolio of professional and managed IT services based on the latest trends and demands in cloud computing, application development, big data analytics, software defined networking, and identity management. Additionally, the Chief Information Officer (CIO) will manage OIT’s project portfolio, advise the CTO on critical upgrade projects to maintain a state of good repair, troubleshoot IT issues throughout the State agencies, and implement procurement and project management strategies. The State’s Chief Information Security Officer (CISO) will be the director of the OHSP’s Division of Cybersecurity and will manage day-to-day cybersecurity operations, intelligence analysis and recommended solutions. The CISO and Director of OHSP will work collaboratively with the new CTO. This Fiscal Year, the Christie Administration will invest $10 million in hardening systems against the most sophisticated cyber threats, including performing comprehensive audits of the State’s infrastructure and assessing its Network for potential compromises. This includes working with IT units in all State agencies to evaluate their unique IT architectures, identify the threats that exist on their systems, and move to eliminate any malicious activity. Over the course of the next year, assessments will be completed for all State departments. A former senior civilian at United States Cyber Command at Fort Mead and cyber risk consultant at Deloitte, Weinstein was New Jersey’s first Cyber Advisor with the Office of Homeland Security and Preparedness and currently is its Chief Information Security Officer (CISO). Weinstein spearheaded the implementation of Governor Christie’s New Jersey Cybersecurity and Communications Integration Cell, the State’s central hub for cyber operations and resources that is the first of its kind in the nation. He also is co-chair of Information Sharing and Analysis Organization (ISAO) Standards Organization, a national working group that identifies and addresses regulatory, law enforcement, privacy, and national security issues associated with sharing cyber threat data. Weinstein earned his Bachelor’s Degree from Johns Hopkins University and his Master’s Degree from Georgetown University.